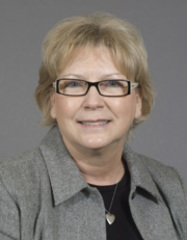 Bonnie Hedrick is director of childhood and adolescent mental health promotion for Mental Health America of Northern Kentucky and Southwest Ohio. Her column is part of WCPO's Heroin Project: How Do We Respond. Too many youth feel sad, hopeless, nervous, and depressed as a result of their life experiences. In fact, one in 10 tenth-grade students in Northern Kentucky has self-reported attempting suicide . Sometimes these feelings grow in intensity. Mental illness often becomes evident by the age of 14 . And youth are looking for ways to cope with these feelings -- the average age of first use of alcohol is 13. The culmination of childhood experiences, both positive and negative, shape the way children develop cognitively, emotionally, socially and psychologically. They actually influence the way brain pathways form, thus influencing patterns of thinking and behavior that endure into adulthood. Specifically interested in the impact of childhood adversity and trauma on behavioral choices, the researchers engaged over 17,000 members of health maintenance organizations in Southern California to participate in what is now called the Adverse Childhood Experiences (ACEs) Study. Those research findings are now shaping a new way of addressing addiction, mental illness, diabetes, and other chronic, debilitating and costly health conditions. Adverse childhood experiences include abuse (emotional, physical, sexual), household challenges (intimate partner violence, substance abuse, mental illness, separation/divorce, incarcerated household member), and neglect (emotional and physical). When children live in homes where these challenges exist, the likelihood of chronic distress is increased. The results can be a negative impact on their immediate and lifelong health, well-being and opportunities. Researchers have linked these negative experiences to rskiy health behaviors, chronic health conditions, reduced life potential and early death. As the number, severity and duration of life stressors increase, so does the intensity of the outcomes, such as alcoholism or other drug addiction. About 60 percent of the persons completing the study had experienced at least one adversity. Sixteen percent had experienced four or more. Justifiably, our community’s response to the epidemic has largely centered on stopping the death and destruction that stems from opioid use and stopping the influx of heroin into the region. Those efforts must continue in order to save lives through the distribution of the antidote drug naloxone, clean syringe access to stop the spread of disease, increasing treatment availability for persons with mental illness and addiction, and providing new support mechanisms for persons in recovery. But the findings about the wide-ranging health and social consequences of difficult childhoods underscore the importance of strengthening prevention and early intervention services for children and youth. Through collaboration and systems change, our community can assure safe, stable, nurturing relationships and environments for all children, whether at home, at school, or in their neighborhoods. Without this integral focus within our community response, lives will continue to be lost or thwarted through chronic illness and lost opportunities.